Breckinridge Metropolitan High School provides a structured, caring environment for students with unique needs as they progress in academics and social emotional learning. 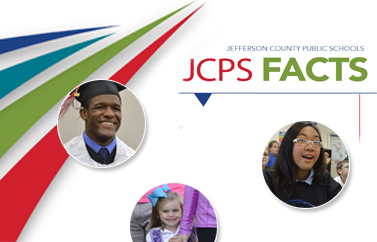 Students are referred to Breckinridge Metropolitan High School through the JCPS Office of Student Relations. BMHS focuses on standards and core content as well as additional programs to enhance student learning. These options include reading courses, credit recovery courses, Co-op, and the use of the Measures of Academic Progress (MAP testing) to continually monitor reading and mathematics progress as aligned with Transition Readiness indicators. All staff members contribute to our school’s friendly, inviting and structured environment. We demonstrate our continuous support and encouragement of students in four important ways. We teach students the expectations for responsible behavior in all school environments by relating student actions to our guidelines for success and the use of Restorative Practices. That is, we will encourage students to be responsible, to always do their best, to cooperate with others and to treat everyone with dignity and respect as related to the JCPS Success Skills. We provide positive feedback to students when they are meeting expectations and following the guidelines for success. We view minor misbehaviors as teaching opportunities and respond calmly and consistently with corrections and consequences with an emphasis on student reflection and self-awareness. We work collaboratively to solve issues that are chronic or severe. Additional individualized supports are provided as needed. Educating all students within a caring and supportive environment so that they are prepared, resilient, and competent individuals.